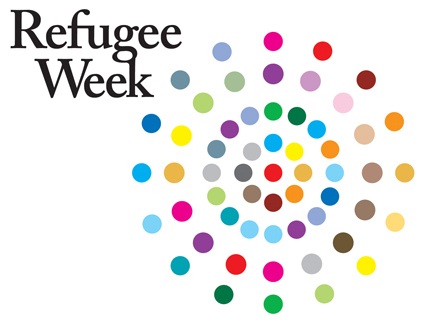 As this year’s Refugee Week draws to a close, I’m reflecting on what effect the experience of displacement has on the children who have been the focus of this year’s event, children who have lost so much that is familiar and reassuring in their lives, had to face hunger, physical danger, separation from family. The photos of children in refugee camps, smiling for the camera, like children anywhere, should not lull us into believing they are and will be fine. They are safe, for now at least, they will be fed, and have access to medical attention, maybe even some chances to learn. But what about their future? Children are resilient, they’re tougher than you’d think, as all parents remind themselves on a regular basis. But how do those early experiences, that exposure to death and danger and horror, affect them as they grow? We can draw upon the stories of an earlier generation of children whose parents entrusted them to strangers, to be transported across Europe and to be taken into the homes of other strangers, to be kept safe, in the hope of a reunion that for many was never to happen. We know of the confusion that many of them felt, about their past, their identity (not all Jewish children were fostered in Jewish homes); and of the trauma of separation from parents and family, and in so many cases, of the discovery post-war that parents and family had been swallowed up in the barbarity and were lost to them for ever. Some of the children wrote and talked about their experiences, e.g. Lore Segal’s Other People’s Houses (1964) fictionalised her experience growing up in five different English households, from the wealthy Orthodox Jewish Levines to the working-class Hoopers. There are a number of collections of memoirs, e.g. Into the Arms of Strangers: Stories of the Kindertransport (2008, Bloomsbury/St Martins, New York & London) (edited by the daughter of a Kindertransport child). A collection of personal accounts can be found at the website at www.quaker.org.uk/kinder. I came to this country from Germany when 12 years old, my parents being Polish Jews, and I am grateful to the government for bringing me over. My parents disappeared in 1943 and I would have shared their fate. But the situation is now far more barbaric than Buchenwald, for there can be absolute obliteration at any moment. I have no other choice than to assert my right to live, and we have chosen, in this committee, a method of fighting which is the opposite of war – the principle of total non-violence. The language and metaphors Metzger uses clearly have reference to the military machinery of the capitalist state. Writing about Metzger’s performance, Kristine Stiles describes the temporal structuring and timing of ‘South Bank Demonstration’ as symbolic of the artist’s personal relationship to the Nazi gas chambers. Metzger formulated his theory precisely 20 years after he was sent to England as a child of 12 in 1939, following his family’s arrest by the Gestapo in Nuremburg. 20 seconds then is a temporal analog for the time it took to destroy his personal world by killing his family; 20 years, the time of gestation in his own auto-transformation. Metzger has also been stateless since the 1940s, another clear political response to what was done to his family, first by removing their rights as citizens, and forcing them from their home, him to safety in England, his parents to death in Poland. Stephanie (Steve) Shirley’s philanthropic activity – as a highly successful businesswoman, she used her money to fund pioneering work on autism, and her influence to counter sexism – is something she explicitly relates to her experience as an unaccompanied child refugee, which she says ‘gave me the drive to prove that my life had been worth saving’. Writing about the ‘One Thousand Children‘ initiative, the American equivalent of the Kindertransport, Iris Posner comments that they have been ‘inordinately successful’. Perhaps the combination of the challenge of those early experiences and the sense of debt that Steve Shirley speaks about, have led such children to have a greater drive to succeed, and to give something back. However, the Kindertransport and OTC children were lucky not just in being saved from destruction. They came to affluent, safe countries where they had access to the best medical care, the best educational opportunities and employment prospects. Many of their contemporaries, displaced in the chaos and brutality of wartime and postwar Europe, were not to have those chances. Like many of today’s child refugees, they lost everything. Almost half of the world’s forcibly displaced people are children and many spend their entire childhood far from home. Whether they are refugees, internally displaced, asylum-seekers or stateless, children are at a greater risk of abuse, neglect, violence, exploitation, trafficking or forced military recruitment. They may also have witnessed or experienced violent acts and/or been separated from their families. It’s a huge task, so daunting that one could throw up one’s hands and say, what can we do? There are many organisations, around the world, who are doing what they can. Working in war zones and refugee camps, working to support children wherever they are re-settled, trying to give them the chance of a life. The Italian island of Lampedusa is best known for being the primary European entry point for migrants, mainly coming from Africa. Last autumn, around 36o migrants died in the seas around the island, and over 30 000 have been rescued by Mare Nostrum. And the boats keep on setting sail, crammed with desperate people. One of the most peaceful and stable countries in the region, Costa Rica hosts many refugees, mainly from Colombia and Nicaragua. Costa Rica took in many refugees from a range of other Latin American countries fleeing civil wars and dictatorships during the 1970s and 1980s. In recent years, growing numbers of people have sought asylum in Mexico, Canada and the United States, citing the threat of gang violence and forced recruitment in countries such as Guatemala, El Salvador and Honduras. Switzerland’s cherished neutrality during the Second World War was in part protected by rigorous border controls. Many refugees were turned back, including at least 20 000 Jews. Those who helped people to cross the border were subject to criminal proceedings, and it is only very recently that some of the sentences handed out to people who challenged the restrictions to smuggle desperate people across the frontier have been given pardons. See Aimée Stitelmann’s story here. In September 1940, plans were being developed to enable Jewish children to get special visas to leave for the US. The plan was intended for children under 13, but older children (up to 16) were eligible to accompany their younger brothers and sisters. In March 1941, the OSE (Oeuvre de Secours aux Enfants) at Montpellier sent a list of 500 children held in camps who were candidates for emigration. These children were released from the camps, and brought by OSE to await emigration, along with children who had been helped by the Rothschild Foundation, Secours Suisse and the AFSC. The first convoy of 101 children left Marseille in May 1941. The train stopped briefly at Oloron station, just by the Gurs camp, so that children could say goodbye to their parents. This was traumatic for all, and OSE did not continue with this practice. From France, the children travelled through Spain to Portugal, stayed for around a week whilst they received medical care and were vaccinated. At Lisbon, they boarded the SS Mouzinho, which took to the sea on 10 June 1941. They disembarked in New York where they were met and looked after by the U.S. Committee for the Care of European Children. The OSE went on to organise an underground network to smuggle children out of France. Rio Mavuba, a member of the French World Cup squad, was born on board a boat in international waters during the Angolan Civil War, and later stated that his birth certificate did not have a nationality on it, reading only “born at sea”. He received French nationality in September 2004. Colombia has one of the world’s largest populations of displaced people – somewhere between 2.6 and 4.3 million – due to ongoing armed conflict in the region. See here for information on the photo project, Land of Light, undertaken by UNHCR Colombia and the Colombian photographer Santiago Escobar Jaramillo, which was realized through a series of workshops with displaced communities. Bere Tassoumane’s journey from stateless person to state official. Uruguay’s president has agreed to take 100 Syrian child refugees. The complexities of refugee politics are clear from this article – both in terms of the contribution relative to that of other nations, and to the problem as a whole, but also in terms of the way domestic politicians respond to even this ‘drop in the ocean’. Refugee Action tells the stories of some of the refugees they work with, and the struggles they face in the UK. Even a wealthy, peaceful nation, which tends not to persecute its citizens, can encounter a refugee crisis as the result of natural disaster. The tsunami in 2011 left many homeless and facing desperate conditions. ‘Freezing winds, hail storms and thick snow are the latest threats to 430,000 beleaguered survivors of northern Japan‘s week-long cascade of disasters. After a massive earthquake, devastating tsunami and nuclear crisis, many people made homeless are now facing icy weather, with temperatures forecast to plunge to –5C (23F).’ (Guardian, March 2011). Syrian refugee Hussein finds safety in Greece. In 1923, Greeks from Asia Minor were evacuated or relocated in Greece following the Convention Concerning the Exchange of Greek and Turkish Populations signed in Lausanne. This followed a period of brutal massacres and ‘ethnic cleansing’ instigated by the government of the Ottoman Empire. The first census after the evacuations showed the number of Greeks of Asia Minor origin to be 1,164,267. Descendants of the refugees took part in the great Greek migrations of the interwar period, as well as the large immigrations to the United States, Australia and Germany in the 1960s-1970s. Today, about 40% of the population of Greece claims full or partial descent from the Asia Minor refugees; as does an almost equal percentage of diasporan Greeks. In December 2010, a flimsy boat was wrecked by a storm on the cliffs of Christmas Island. 50 of the 89 men, women and children aboard, all asylum seekers, predominantly from Iran and Iraq, died. In the mid-16th century, many Protestant Walloons and Flemings came to England to escape warfare and religious persecution, arriving in England through the Channel ports, many initially settling in Sandwich, until the numbers became too great. Subsequently, the Walloons were permitted to move to Canterbury, and were welcomed by the city. ‘The strangers (as they were called), were allowed to gather for worship at the church of St Alphege, opposite the Archbishop’s Palace, and later in the western crypt of the Cathedral. Most of the refugees were engaged in the weaving trade, and provided local employment, and a flourishing trade in finished cloth for sale in London or abroad. In 1937, during the Spanish civil war, a group of almost 4,000 children was evacuated from Bilbao in the Basque region of Spain. They embarked from Santurce, Bilbao, on the ‘Habana’ on Friday 21st May and dropped anchor at Fawley, at the entrance to Southampton Water, on Saturday evening. The following morning, Sunday 23rd, they docked at Southampton. Initially accommodated in a large camp at North Stoneham, Eastleigh, they were eventually dispersed to many ‘colonies’ throughout the country. Chile – Julio Parrado tells the story of his arrest and torture after the overthrow of the Allende government in Chile, and how he found sanctuary in Sweden. A few weeks ago photographer Frederic Noy went to Cameroon with UNHRC to photograph the arrival of Central African refugees fleeing the violence in their country. The UN Refugee Agency is recommending that the process of ceasing refugee status of refugees displaced from Croatia in the 1990s begins. Almost 20 years after the conflict in the former Yugoslavia ended, the circumstances that triggered displacement have fundamentally changed. Regional cooperation has intensified, voluntary returns have taken place, different ethnic groups have proven able to peacefully co-exist and economic and political progress is increasingly visible. Meanwhile, Bosnia and Herzegovina, Croatia, Montenegro and Serbia continue their efforts to find sustainable housing solutions for some 74,000 vulnerable refugees, returnees and IDPs from the 1991-1995 conflicts. Belgium‘s invasion in two successive World Wars led to an influx of refugees into the UK. A local newspaper reported in 1916 on the celebration in Manchester of the Belgian Day of Independence,when ‘over 700 refugees were entertained by the Co-operative Wholesale Society. They had come from various parts of Manchester and the surrounding industrial towns’. The Bishop of Salford ‘alluded to the trials through which the refugees had passed, and remarked that that day they had shown to the British race how strongly united they were. He assured them that the feelings of the English people for what the Belgians had done in the great European struggle would be always as they were to-day’. I am working with Solidaridad Internacional as a community outreach worker. I am in charge of awareness raising efforts about the use of water. When I arrived here, it was almost a cultural shock. The situation in the camps is extremely difficult. Especially for the youth. There are no opportunities here. If there were no NGOs here, many youths would be out of jobs and would not be able to support their families. If I did not find this job, I would have been at home. We cannot keep on waiting to receive humanitarian assistance without doing anything. Until when? The humanitarian assistance will not last forever. I am very concerned about the dependency of Sahrawis to foreign aid and I would like to be a motor for a change in my community. My dream is to work one day as a journalist, to be able to convey the difficult life conditions my people are going through. Brazil was the first country in Latin America to offer humanitarian visas to Syrian refugees. Mexico – Martin Gottwald, UNHCR Deputy Representative in Colombia, shares his story for World Refugee Day here. Russia – after the Revolution, from 1917-22, more than a million people left Russia. Refugees moved eastward to Manchuria and China, via Vladivostok to Canada and the US, and westward, via the Balkans and the Baltic states, to Western Europe, particularly France. Irene Nemirovsky and her family were amongst those who took refuge in France. Irene, who became a highly successful writer, was still there when France was occupied by the Nazis. As a Jew, she was deported to Auschwitz where she was murdered, along with her husband, in 1942. Her final, unfinished book, Suite Francaise, was published in 2006, after her surviving children read the manuscript and realised its importance. Not all of them obvious sources of refugees, nor obvious havens for them. In fact most are, or have been, both. The Islamic Republic of Iran continues to host one of the largest and most protracted refugee populations in the world, despite the voluntary return of hundreds of thousands Afghan and Iraqi refugees to their countries of origin over the past decade. But during the Shah’s regime, and the Islamic regimes which have followed, intolerance of political dissidence has also created a flow of refugees out of the country, with a significant group now based in Australia. Koroush came to the UK with his family and describes the pressures of life as an asylum seeker. The USA‘s history is built on the movements of people fleeing intolerance and violence, from the religious dissidents of the 17th century, to the Jewish communities driven out by pogroms in the late 19th, to the victims of Nazism in the 1930s and ’40s. Recently it has seen a huge influx of unaccompanied child refugees from Latin America. Its history also includes, of course, the displacement of the indigenous Native American populations. Ghana took in many people from Liberia and Sierra Leone during the vicious civil wars which tore those countries apart. Many of these refugees have now returned home, but the Buduburam refugee camp near Accra housed over 40 000 displaced people until recently. Jean fled from Ivory Coast and found sanctuary in Ghana. Germany, leaving aside the movements of populations arising from war and occupation, drove out many of its own citizens as they were stripped of their professions, their property and their rights, in preparation for taking their lives. German Jewish children were amongst those taken to safety by the Kindertransport. Portugal became a sanctuary for many refugees from Nazi occupied Europe. Salazar’s nationalist regime was not based on racial theories, and although under pressure from Hitler visas were severely restricted, Lisbon became the doorway to freedom. It’s not clear how many people escaped via Portugal – but Portugal’s own Jewish population, and most of those who came there, survived.